t's much too easy not to care in this postmodern world, but I tend to agree with whoever said that the road to heaven is heaven. There are certain things worth caring about. One of them is music, and tripewriter traditionally reserves March for a look at favorites from the year gone by. Even so, and despite discovering dozens and dozens of worthwhile songs last year, I'm most likely to remember 2003 for providing something much more rare  a bunch of memorable movies. Of nine I saw in theaters, even the worst ("Mystic River") wasn't bad. But the good news is that the eight others were exceptional. "The Station Agent," "Bad Santa," "Whale Rider," "School of Rock," "A Mighty Wind," "Pirates of the Caribbean," "The Triplets of Belleville" and "Lost In Translation" were all much more enjoyable and far more rewarding than Sean Penn's look-at-me-emote fest. But enough about that. Because what tripewriter really cares about is the music. And on that front, the year was typically stingy with great albums. But great individual songs  as usual  were plentiful. So when people say things like, "Oh, there just isn't much good new music out there," it's hard to know whether to laugh or cry. It's out there, friends, and it isn't even that hard to find. All we've got to do is take some care. 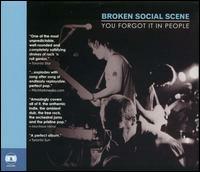 1) Broken Social Scene / You Forgot It In People This album, by a rotating cast of congenial Canadians, sneaks up, gets inside and stays for endless rotations. It doesn't hurt that the live show, when it came through sleepy little Portland, was uniquely thrilling. But the proof is in the disc, and You Forgot It In People is an unusual trip through an inviting universe of sounds and styles. The album somehow manages to display a polished luster along with an off-the-cuff vibe. And there's a gentle grace and sweetness even as they sing about bodily fluids. It'll be fun to see what they do next. 2) Weekend Players / Pursuit of Happiness Usually it's best to stay away from making confining comparisons, but sometimes they serve to best make a point. 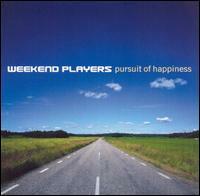 And Pursuit of Happiness comes off like Sade crossed with addictive, ear-pleasing electronica. The album, released on Christmas Eve of 2002, is essentially a side project of Groove Armada's Andy Cato and jazz chanteuse Rachel Foster and combines irradiative lyrics, flowing melodies and heady, bass-laden grooves  whether upbeat for the discotheque or ballads for the boudoir. Regardless, there's no denying that the duo found something special here, and whether it's a one-off lark or an enduring marriage hardly matters. 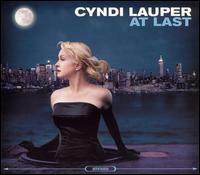 3) Cyndi Lauper / At Last Hey, I got your American Idol right here ... Regular visitors to this page won't be surprised to see Cyndi's flag run up the tripewriter flagpole. But in a year that also saw new product from Midler and Streisand, well, it was no contest. Just check out the emotive, theatrical delivery of "La Vie En Rose" to get a hint of what a singer should sound like. At Last is solid front to back, with inventive, intimate treatments of the title song, "Walk On By," "Don't Let Me Be Misunderstood," and an oddly upbeat rendition of Brel and McKuen's "If You Go Away." That a duet with Tony Bennett misfires is a small price for 45 minutes of relative bliss. 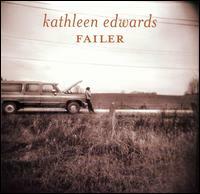 4) Kathleen Edwards / Failer Don't ask how someone can not care for Lucinda Williams but still be big on Kathleen Edwards. It doesn't make sense to me, either. But not only is the 24-year-old Edwards' album a modest wonder, it also seems to portend a giant new songwriting and singing talent. So what that she has a foul mouth onstage. Big deal. 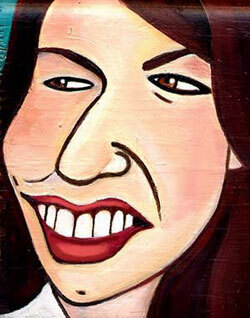 That same mouth articulates artful story-songs with old-soul wit and wisdom  a rarity at any age. Just give "Westby" or "Bellevue" a spin and try to remain unconvinced. The songs seem casually effortless and effortlessly casual. And the future seems unmistakably bright for this Canadian thrush. 5) (tie) The White Stipes / Elephant and OutKast / Speakerboxxx & The Love Below Popular taste and the right track seem to have crossed paths in 2003, as these two unlikely but excellent albums gained wide recognition. They finished first and second in the annual Village Voice critics poll and won various other popular statuettes. 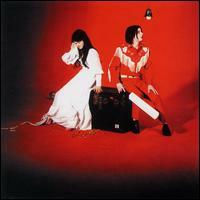 Some seemed to like the White Stripes' Elephant right away, while others reported that it took several spins. Dissenters probably didn't listen enough. Regardless, in a year that continued the welcome recent trend of the unpolished garage-band sound, the White Stripes simply had the best songs and a few ("One Nation Army," "The Hardest Button to Button," "Ball and Biscuit") that were great. 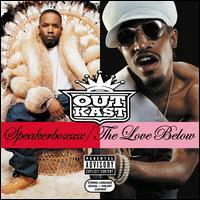 As for OutKast, the double disc might suffer from the ever-dangerous shoulda-boiled-it-down-to-one-disc syndrome. But it's hard to complain when a song as catchy as "Hey Ya" likely isn't even the best song on the album. Perhaps most promising of all is that both these groups have put out strong albums before, and are building fascinating careers. 1) "When Mac Was Swimming," The Innocence Mission If number of listens is any indication, then "When Mac was Swimming" was easily my favorite song of 2003. Countless times I cued it up and warbled along in the car or around the house. Karen Peris's quirky, understated singing is a thing of rare beauty and the song's delicate arrangement is perfection. Much of the rest of the album, befriended, is relatively unremarkable  although "Tomorrow on the Runway" is worth a listen. But sometimes all you need is the one song, and this is one of those sometimes. 2) "Blues Tango," Paolo Conte I first heard Paolo Conte several years back on a Starbucks sampler. And while it's easy to think of him as the Italian Leonard Cohen, that's not really doing justice to either man. Conte, a painter and poet, was born in 1937, started recording in the '60s, but didn't have his first U.S. release until a greatest-hits collection in 1998. 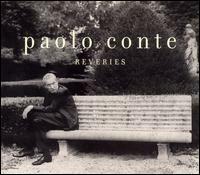 The 2003 release, Reveries, explores a variety of styles and displays Conte's strangely consummate cool. But "Blues Tango" stands out as a mad scientist's examination of love and transcends all semblance of categorization. 3) "Something to Believe In," Pretenders Tribute albums are dime-a-dozen any more, but every so often a great song pops out. Here, on a Ramones tribute, Chrissie Hynde and her mates find utter beauty in "Something to Believe In," a song from the back end of a grim 1986 album. 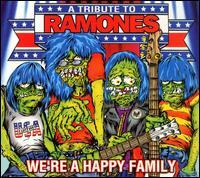 Vibrato guitar, insistent bassline and rich, emotive singing transform what seems like a throwaway in its original form into a sense of uplift that clearly escaped the Ramones. And when Hynde sings "I don't feel that it's hopeless, I don't feel that I'm useless," we're made to believe by way of simple, humbling grace. 4) "Let's Get Retarded," The Black Eyed Peas Hip-hop is certainly still happening and 2003 saw several strong entries into the field. But considering that even the folks at McDonald's have latched onto the genre by way of cloying, crass commercials, the warning bell of middle-age has seemingly sounded. Regardless, "Let's Get Retarded," although not particularly correct in the political sense, is a joyous romp that oughta be echoing off walls at basketball arenas throughout the land. Perhaps it is (the basketball arena hasn't been the most popular place in Portland for the last several years). But above all else, the song is fun, catchy and almost begs you to dance. Exactly what else do you need to know? 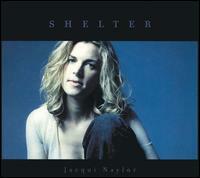 5) (tie) "Miss You," Jacqui Naylor & "Keep Me in Your Heart," Warren Zevon. Jacqui Naylor's jazzy take on Mick and Keith is an odd stroke of brilliance  but only because it's done so well. Naylor's voice carries a slight trill at the endings of couplets to make her sound somewhere between voluptuous and vulnerable. The piano break is slinky and sly. But she picks up steam as the song nears its end, and there's an aura of irony that completes the picture. 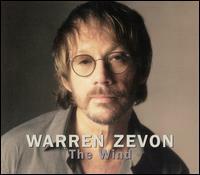 As for Warren Zevon, his death in 2003 gained him more recognition than ever before and only now is he starting to get his widespread due (he won his first-ever not-quite-so-frumpy-anymore Grammys last month). A VH-1 documentary, put on tape as the cancer-stricken Zevon made his painful march toward his maker, displays layer after layer of songwriting genius. But "Keep Me in Your Heart" is an instant standard that will outlive us all. Good album, great song. And what about those aforementioned dozens of songs? Well, it ain't no joke. For nearly two decades we've compiled favorites from the just-ended year onto CD (or cassette), and here's the contents of six discs for 2003. Still not enough, you say? Two more discs of 2003's excellent leftovers are in the works  approaching the neighborhood of 200 worthy songs by 200 different artists from last year alone! The music industry needs to admit that people want to purchase the individual songs, and the record companies ought to quit dragging their feet and open up the vaults to their entire catalogs. They could charge a reasonable flat monthly rate for non-burnable versions of individual songs. Maybe $10 or $15 a month. Then charge a reasonable per-song rate for burnable versions, maybe 50 cents a song  a price where even seasoned downloaders might climb aboard. End of problem. Because as is, it seems the college kids are always a step or two ahead. And finally, it's time to give downloaders their due. If it wasn't for these brave agents of change, we'd probably be paying somewhere near $25 per disc. Meanwhile, it's on to another year. For one thing, I'm not nearly as afraid to lay down seven or eight bucks to enter a movie theater. 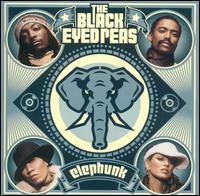 And already there are all kinds of promising albums and songs for 2004. Like it said here a year ago, the only survey that really matters is the survey of self. Just remember to listen, don't be afraid to share and never forget to take care. 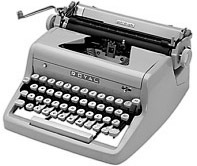 E-mail Mark at andersonenterprises@hotmail.com, and see more tripewriter.